Have you ever been assigned to or used a highly rated agent or broker for an insurance policy? If so, then you know the benefits of having someone in your corner to educate you, guide you through the signup process, and to be there for you as an advisor if issues come up. This is essentially what it is like when you get merchant services from a credit card processing reseller. If you choose the right one, you’ll have reliable service and an agent working to fill your needs. If you’re stuck with a bad reseller, however, then you may experience a rep who never answers the phone, gives bad advice, or who recommends products or services that you don’t need. Bottom line: a bad reseller doesn’t care, and only sees you as a paycheck. Choosing to use credit card processing through a large bank or payment aggregator who doesn’t use resellers can be a tricky situation too. You’ll speak to a different individual every time you call in and can’t get help from an individual if you signed a contract with hidden fees. Credit card processing resellers are often paid ongoing residual commissions on your merchant account, so this way they are incentivized to keep you happy and keep the relationship going. A reseller can work with your needs, and can often price-match for you if you come across a better advertised deal. We recommend doing your research, then choosing a credit card processing reseller that you feel most comfortable working with. Your reseller should educate you on the benefits and risks associated with merchant accounts. They should explain pricing models and fees, and take the time to explain chargebacks, PCI Compliance, and the latest technology and laws that apply to your business when accepting credit cards. A good reseller will know other vetted business professionals, (ie. bookkeepers, web designers, bankers, and payroll reps) who they can refer you to if need be. Never sign up with a reseller if they use high pressure sales tactics or ask you to sign application paperwork without you having the opportunity to read the contract. If they try this, they are most likely trying to make you sign a hidden contract. Would you invest your life savings with someone off the street who was not a Certified Financial Planner (C.F.P.)? Would you let a stranger do your taxes who was not an Enrolled Agent (E.A.) or not a Certified Public Accountant (C.P.A)? If you don’t have a strong relationship with someone, the importance of proper credentials is increased. The Electronic Transaction Association is a credit card processing trade association that will certify credit card processing resellers. PayFrog is such a reseller and 100% of our sales staff has gained ETACPP (Electronic Transaction Association Certified Payment Processional) status. The only credit card processing resellers that may qualify for this certification are those with at least 1-3+ years’ experience. All Certified Payment Professionals must pass a rigorous test on industry knowledge, best practices and procedures. If they pass the exam, the Certified Payment Professional must complete Continuing Education (CE) activities. A minimum of 36 credits are required every 3 years to keep certified. Choosing a Certified Payment Professional as your reseller ensures you’re not stuck with a newbie that may choose a different career in six months. In addition to experience and knowledge, Certified Payment Professionals must agree to abide by a Code of Conduct and must be recommended into the program by a supervisor or manager of a company in the payments industry. The certification is not taken lightly, and you should only sign with a reseller who has been credentialed as a Certified Payment Professional. 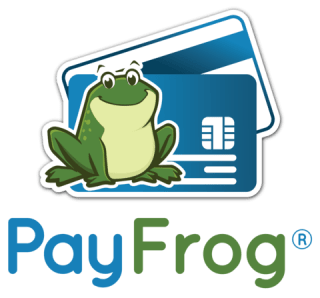 PayFrog is a reseller for PayJunction. Payjunction is an ISO (Independent Sales Organization), also known as a MSP (Member Service Provider). We wouldn’t back PayJunction if we didn’t completely believe in their products and prices. There’s just something to be said for bringing the card processing business down to a more personal level so that our customers are given all the help and support they deserve. Joseph is a sales agent at PayFrog. Joseph has been in the merchant services industry since 2009. He has developed his career through hard work, determination, and always seeking to achieve his goals. He has acquired hundreds of clients through the years by his honesty, service, and treating others the way he would like to be treated. Joseph is a Certified Payment Professional through the ETA because he believes education is important, both for himself and his clients whom he serves. 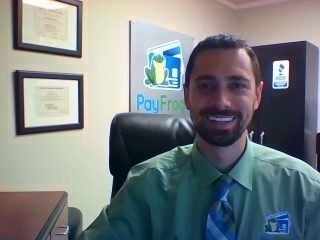 If you would like to use an honest, certified, dedicated agent like Joseph who will partner with you and your business, then CONTACT US today, or start chatting with an agent by clinking on the frog on the lower right hand corner of your screen!